Preparing quick meals on camping trips is easy if you have the right recipes and ingredients. 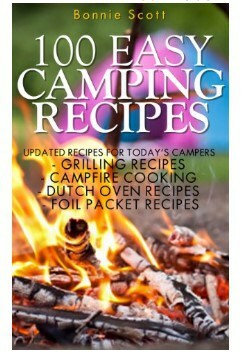 Amazon has 100 Easy Camping Recipes Kindle Edition for Free. With camping hacks for making life easier, tips for camping with the kids and camping checklists to be sure your trip is organized, you’ll find that 100 Easy Camping Recipes provides you with much more than just a few basic camping recipes.